I just can’t think of anything to say. 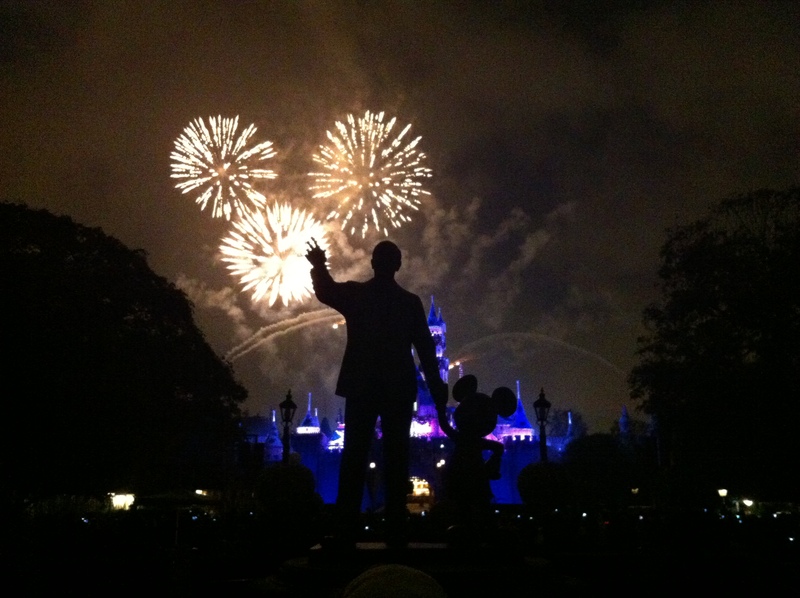 So, here’s a photo of the fireworks we saw at Disneyland last week. Today I cleaned my office, so I am no longer in danger of being cast on the television show, Hoarders. I’ve been working extra hours because other people at work are on vacation. I’m trying not to be bitter about this because I like my job and co-workers so much. But still. I just turned on the heat so it won’t go below 65 degrees in the house tonight. Turning on the heat in Southern California seems like a serious infraction but my husband doesn’t want the children to have frozen toes, so fine. The heat is on and it smells kind of burnt since it hasn’t been on in a long time. I finished reading This Life Is in Your Hands: One Dream, Sixty Acres, and a Family Undone which I thoroughly enjoyed. Now I am unmoored, unable to decide what to read next though I am surrounded by stacks of promising books. My husband keeps urging me to write the Christmas letter. I told him I bought stamps which I feel is a fine and timely contribution toward the Christmas letter goal. Baby steps. But say, aren’t those fireworks captured by my iPhone pretty? See? I have nothing to say, really. It almost looks like Mickey or Minnie’s head and ears, lol! Merry Christmas, Mel! Your annual Christmas letter is always something I look forward to getting. Please, Santa, don’t make me sad. i love what you have to say..it may not be much to you but we love your post! Merry Christmas!!! That photo is incredible! Love it! Yesterday I got a Christmas letter that included, “Did I mention I’m a Harvard mom?” three times throughout the text. I’m not doing a letter this year. I mailed on card, my my in-laws. I gave the teachers and the aide cards. I think I might be done with Christmas mailings. Our mantle/sp? is lined with photos of people I haven’t seen in years, some of whom I’ve never met, from my husband’s side of the family. Postage has gotten too high to make sending many cards good stewardshp.